The Price Road Corridor 230 kV project consists of a new double circuit 230 kV power line from the Knox substation in Chandler to a 230 kV substation site, identified as RS-27, located in the northern section of the Price Road Corridor. Visit our maps page to see photos of the route details. 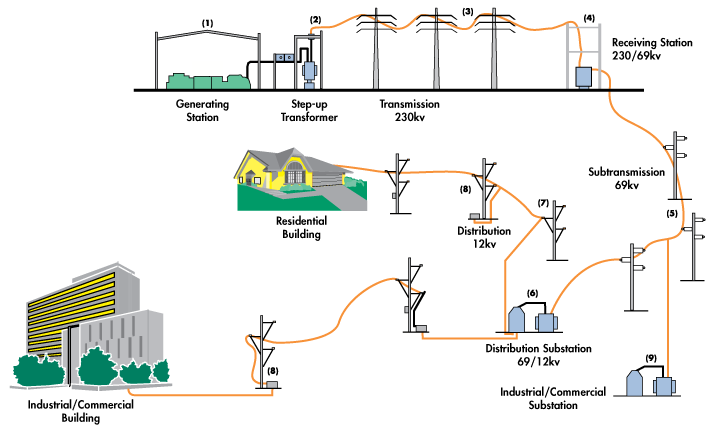 See examples of lines and substations below. For information related to electric and magnetic fields, please visit our frequently asked questions. This is a photo of a typical 230 kV line. 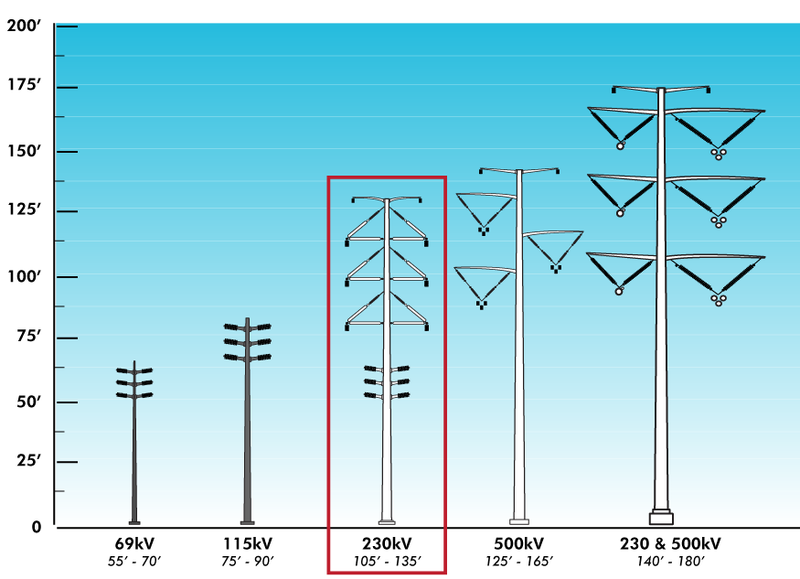 It also has a single circuit of 69 kV underbuilt on the poles. The poles in this photo are approximately 130 feet tall. This is an aerial view of the Knox substation, located in an industrial corridor. SRP has dozens of 230 kV substations in Valley commercial areas (similar to pictured example) that are enclosed with chain link fences. This is the type of facility planned on SRP property at the intersection of Price and Germann Roads.